Priced to sell! 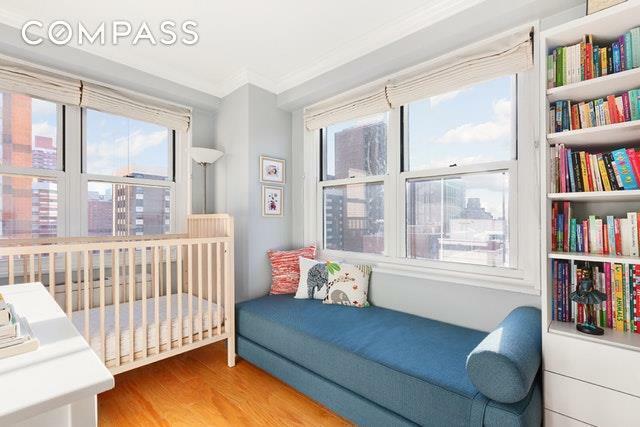 Newly renovated from top to bottom, 11G is a bright and spacious, light-filled corner two bedroom home that faces north and east. With windows in every room, including the kitchen and bath, this well-appointed residence features custom details throughout, including a banquette with built-in storage, organized closet systems, and crown molding. The oversized open kitchen is perfect for entertaining, featuring Samsung and Bosch appliances, stone countertops, stylish backsplash, and abundant storage with purposeful inserts. The bathroom features a stone vanity, tile floor, and glass shower door. A large walk-in closet can be converted into a laundry room with washer/dryer. The large master bedroom easily fits a king-size bed, desk, and dresser, with a row of closets on one wall. The flexible second bedroom can be easily used as either another bedroom, a home office, childrens room, or exercise space.Well run with a friendly staff and management, New York Towers is a full-service building including a full-time doorman, concierge, valet and live-in super. Discounted on-site parking can be accessed directly through the building. 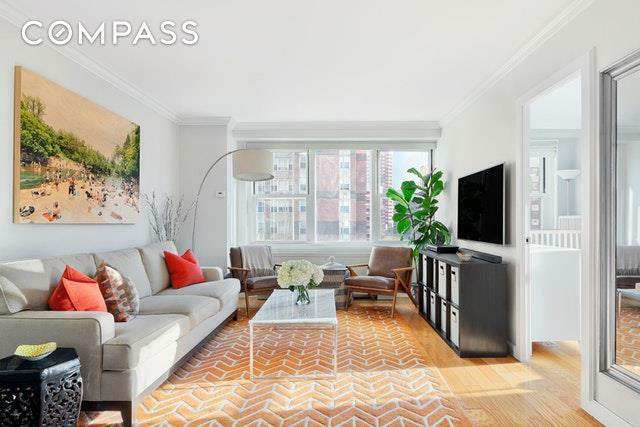 Co-purchasing and pied-a-terres are allowed.With tons of amenities in the neighborhood including a Fairway and Trader Joes close by, one also has easy access to all the great restaurants and cafes in Gramercy, the East Village, Madison Square Park, and Midtown. 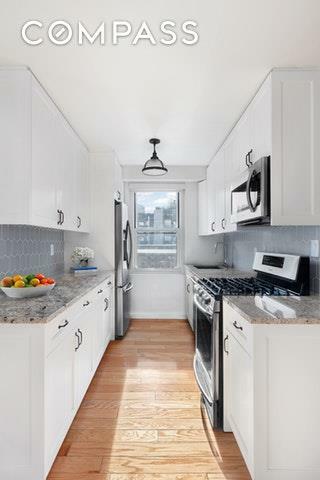 This happy and fully renovated home is the one you have been waiting for.